The Avenues is perhaps the most unique and eclectic neighborhood found in the city of York, PA. The origin of The Avenues can be traced to 1882 when York Bank and Trust president William “Captain” Lanius bought 52 acres of farmland in northwestern York. Lanius developed the land by creating streets and lots that soon became the site of a series of beautiful Queen Anne Stick style homes, including his own residence. Captain Lanius also started the York Street Railway Company in 1886, which provided trolley service from The Avenues to downtown York for many decades to follow. Today, The Avenues remains as a classic community unto its own. Its unique architecture continues to attract homebuyers who prefer to live in a residence that offers a welcome departure from modern properties often lacking creativity and flair. In addition to the Queen Anne Stick style homes, the neighborhood includes a mix of single-family dwellings, semi-detached homes and row homes. Another benefit to living in The Avenues is its close proximity to the York Expo Center, the site of one of the country’s oldest annual fairs, as well as a wide variety of events and shows throughout the year. If you are intrigued by the prospect of living in The Avenues, CENTURY 21 Core Partners can help you find the ideal property for you and your family. 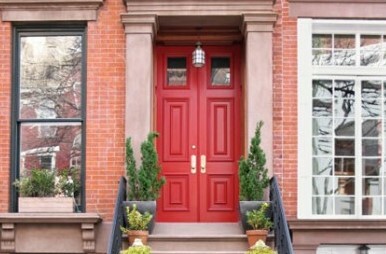 We routinely list a number of properties for sale in The Avenues/York City. As a CENTURY 21 Core Partners client, you also get the benefit of the well-known Century 21® brand, which received the highest ranking in the prestigious JD Power Home Buyer/Seller Satisfaction Survey in 2014 and 2015. Searching for a home in The Avenues or anywhere else in York County doesn’t have to be a lengthy, time-consuming process. When you visit the technologically advanced CENTURY 21 Core Partners website, you get instant access to all current listings, as well as a host of detailed property information that can make your purchasing decision so much easier. It sure beats wasting weekend after weekend driving from one property to another! Your choice of real estate agent can make a critical difference to the success of your home search. CENTURY 21 Core Partners agents have extensive knowledge of the area and the York County real estate market. You will also appreciate the timely, attentive service you receive throughout the buying process. Learn more about how CENTURY 21 Core Partners can make finding and purchasing a home in The Avenues/York City so much faster and easier. Give our York office a call at 717-718-0748 today.